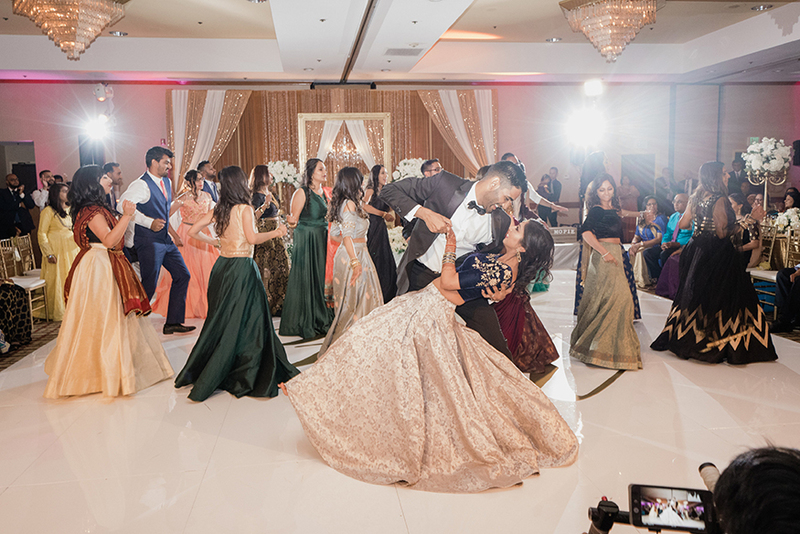 Mohit and Payal met at her sister’s wedding, and their romance took off in part because of a shared love of Bollywood movies. 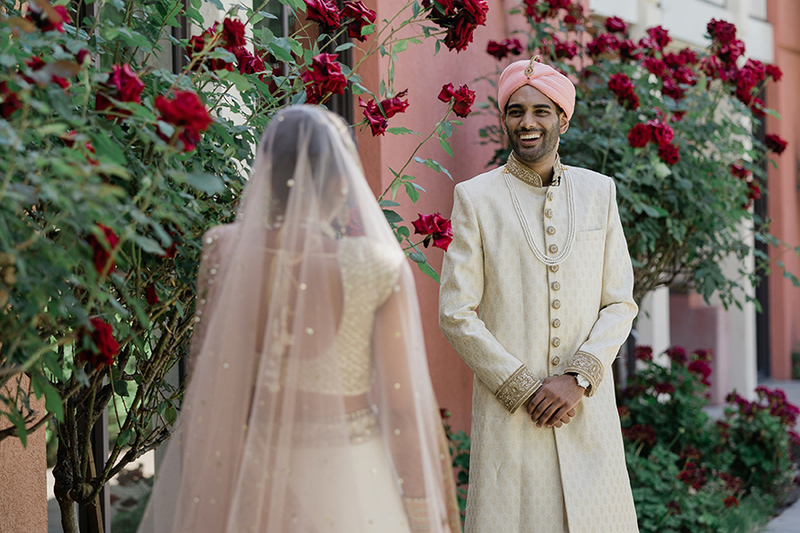 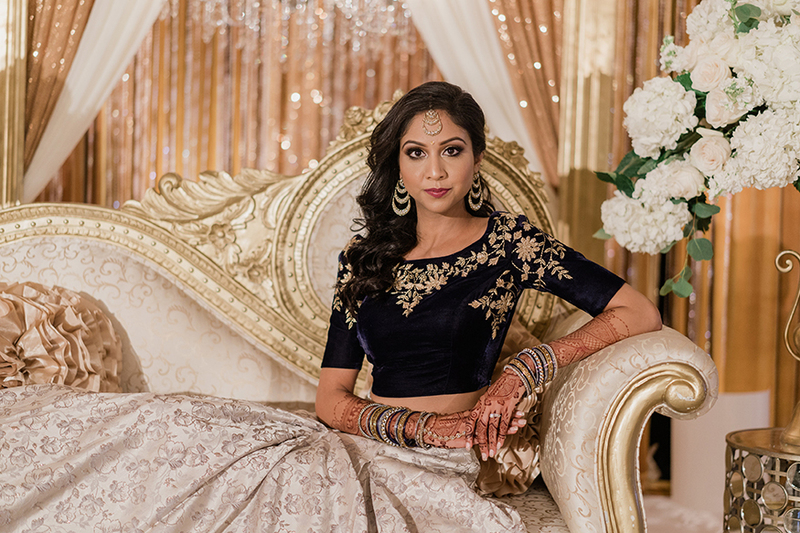 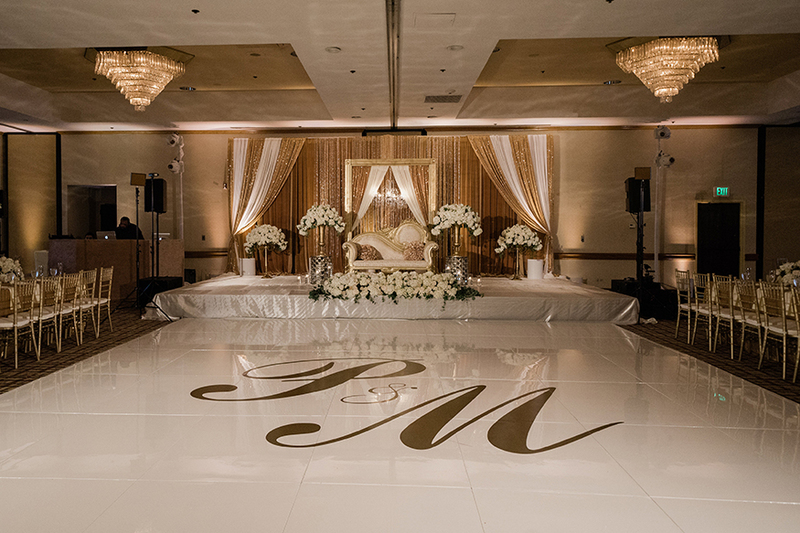 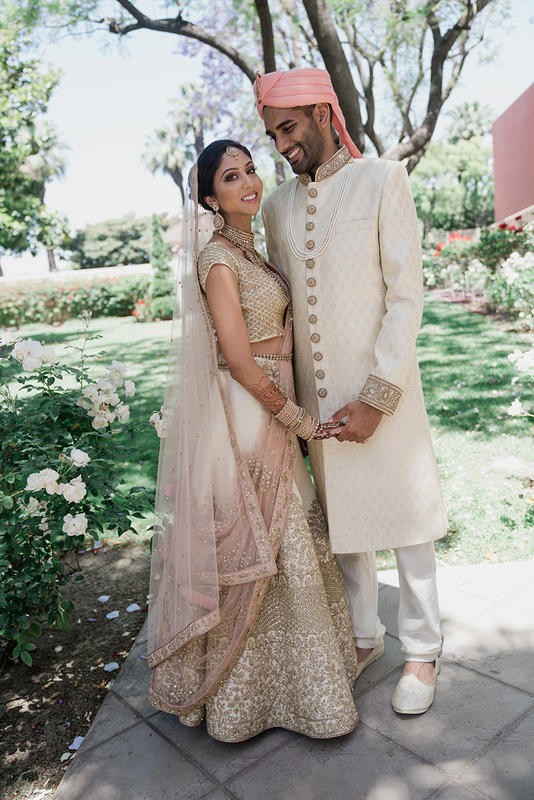 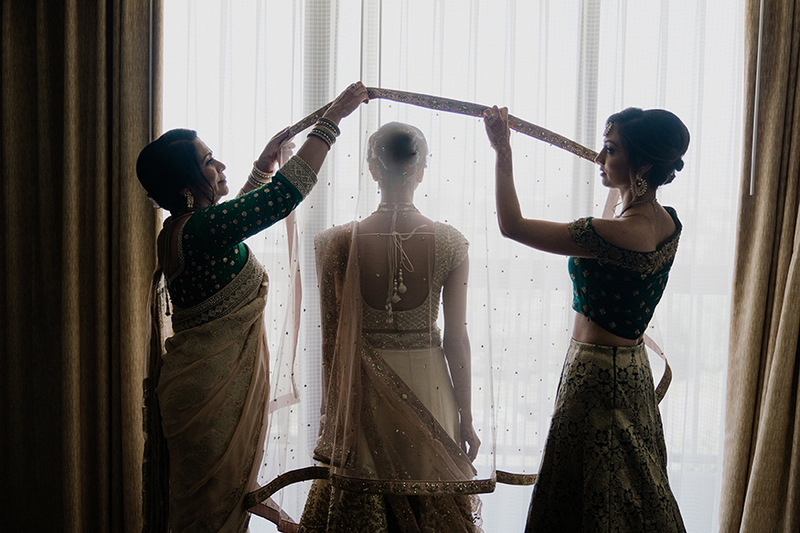 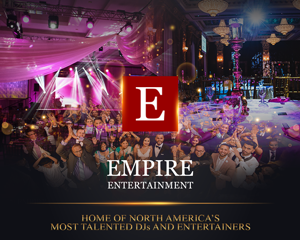 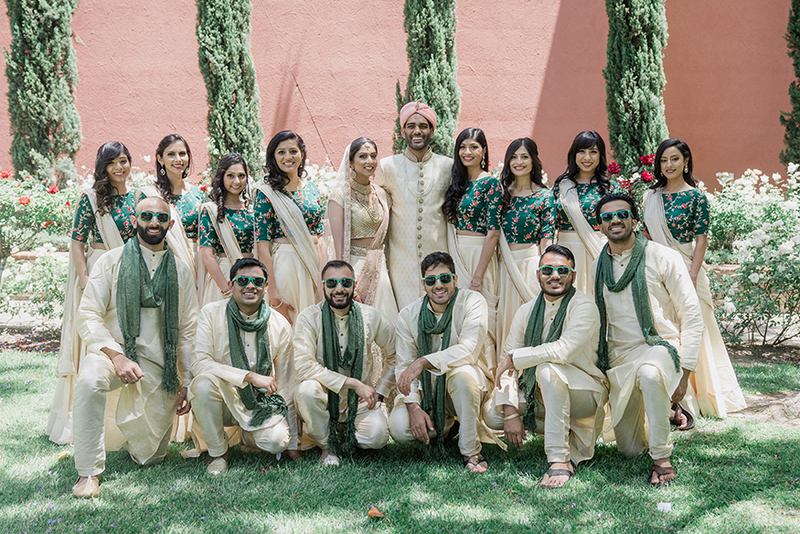 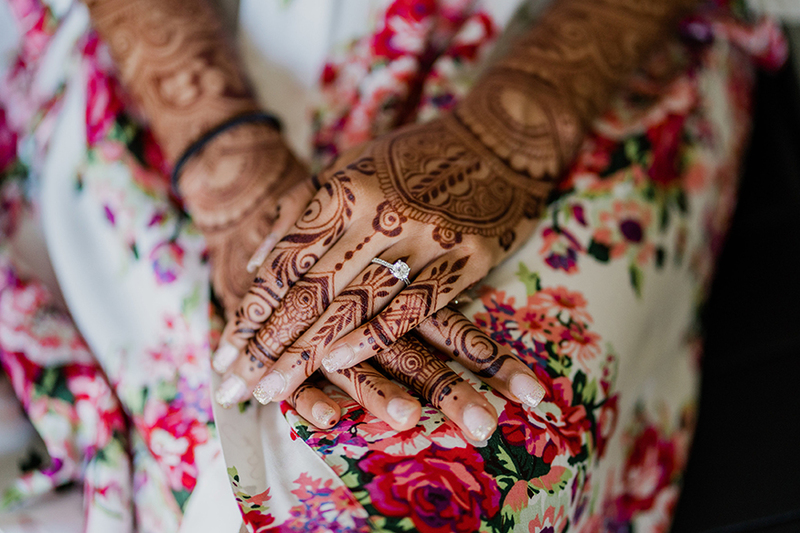 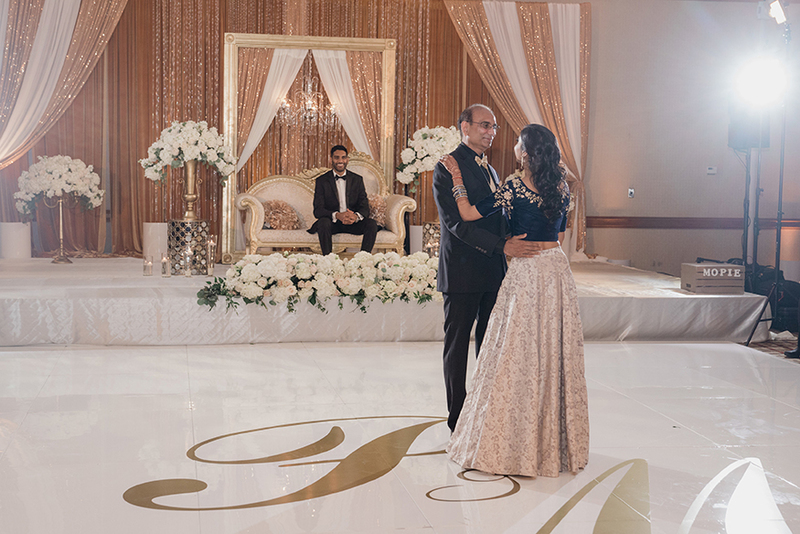 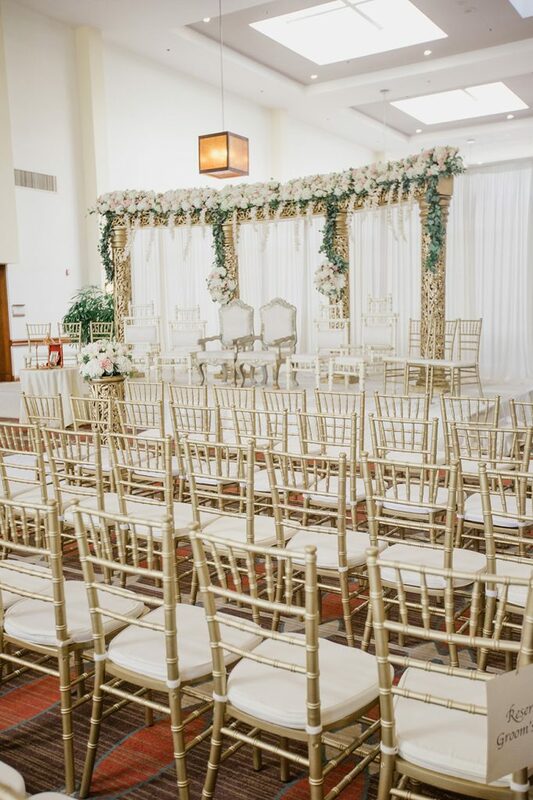 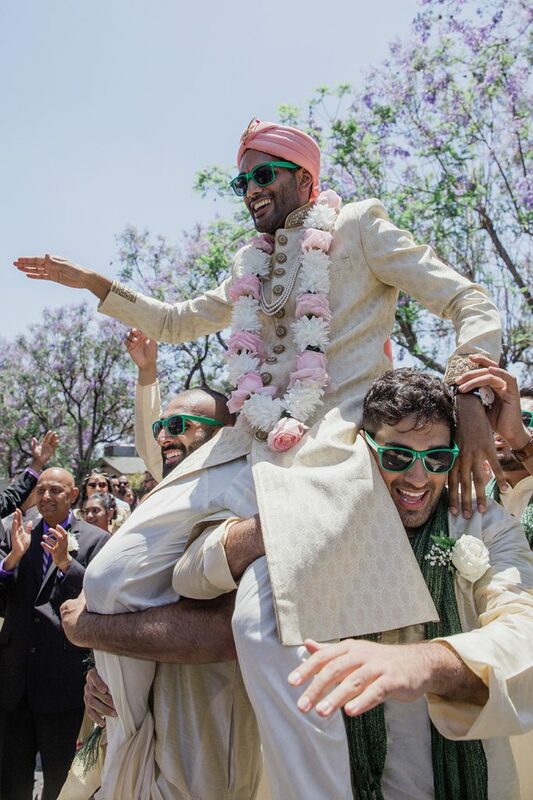 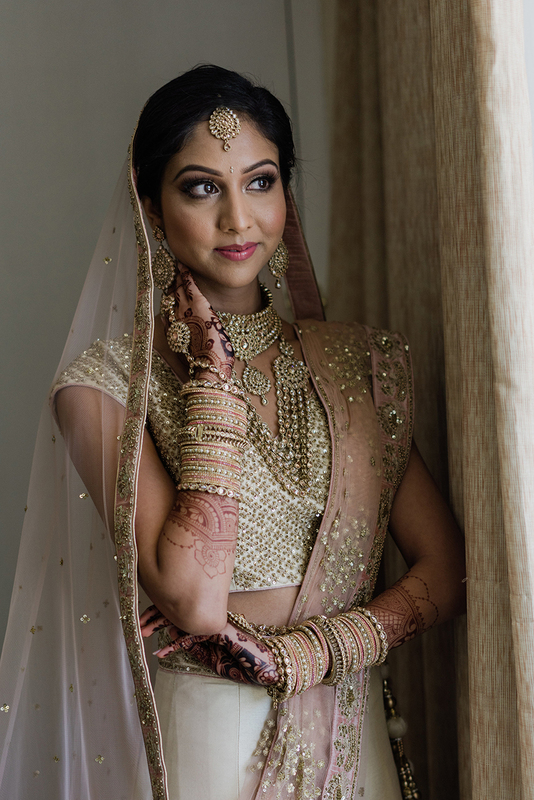 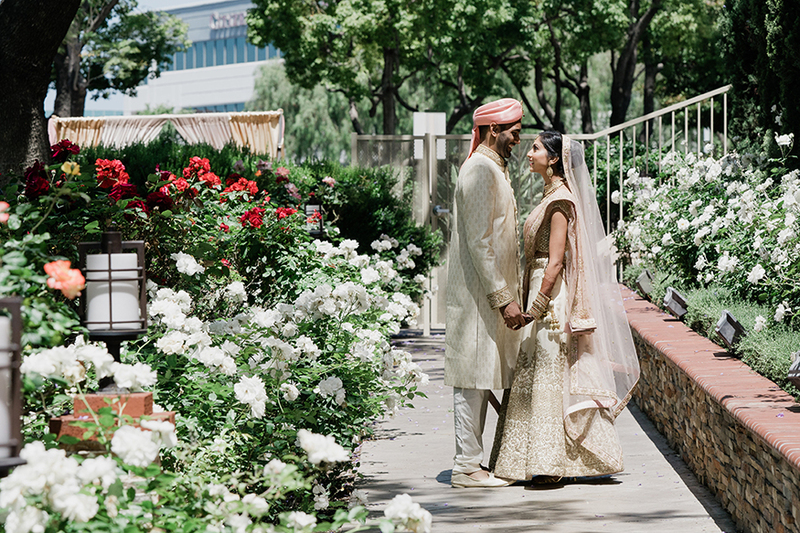 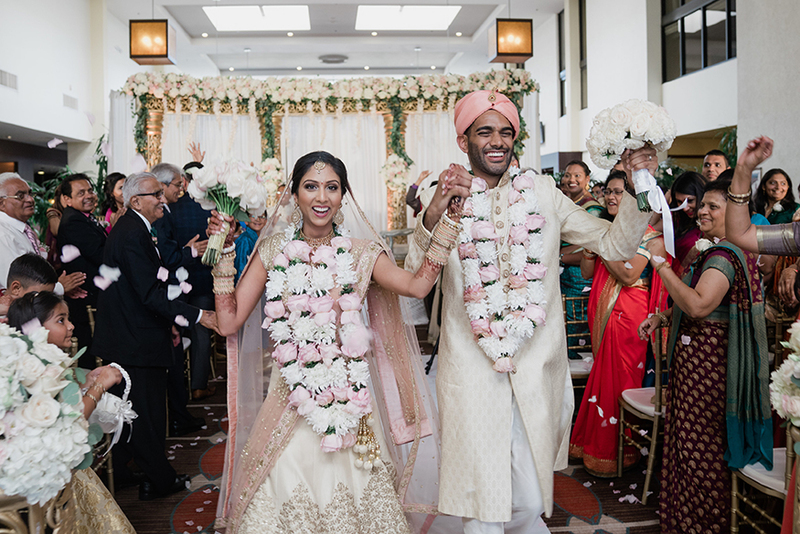 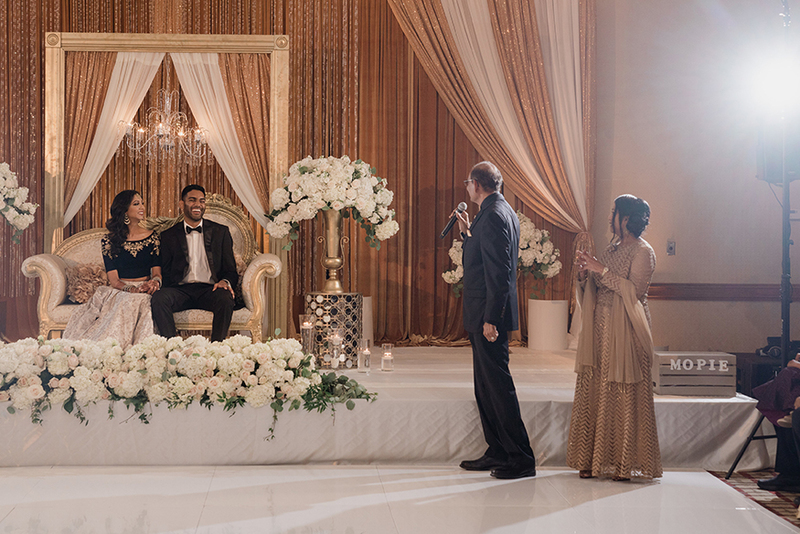 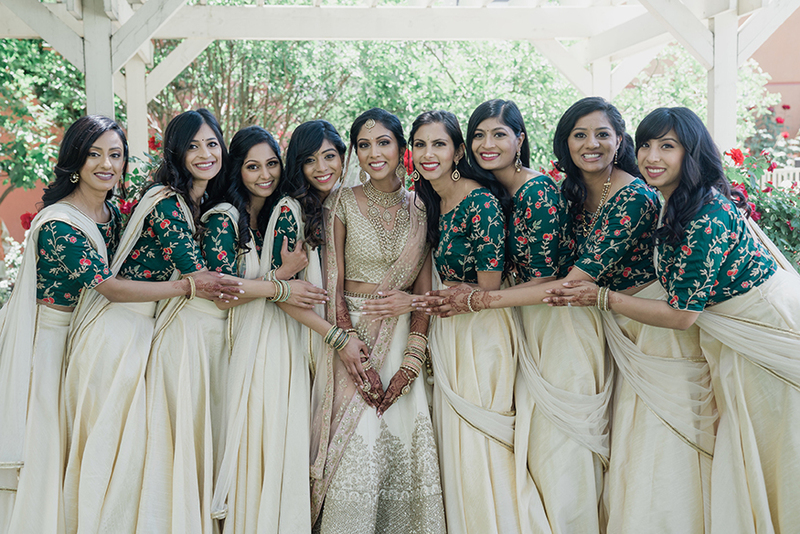 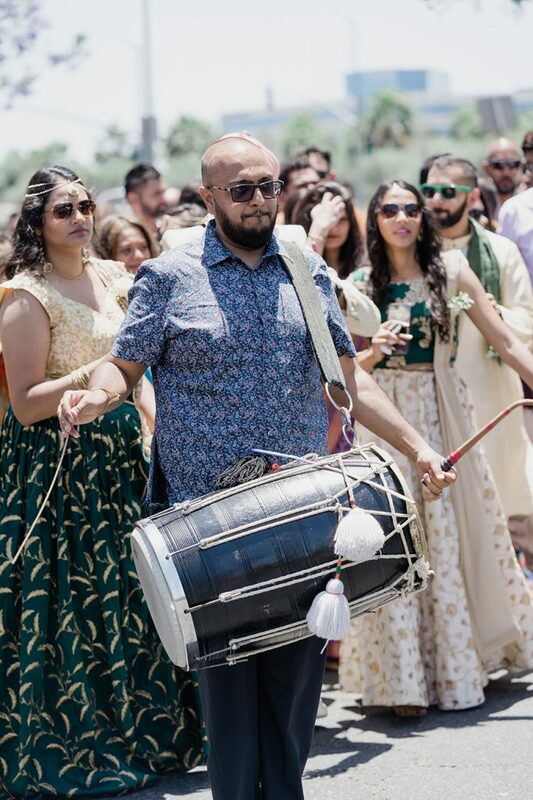 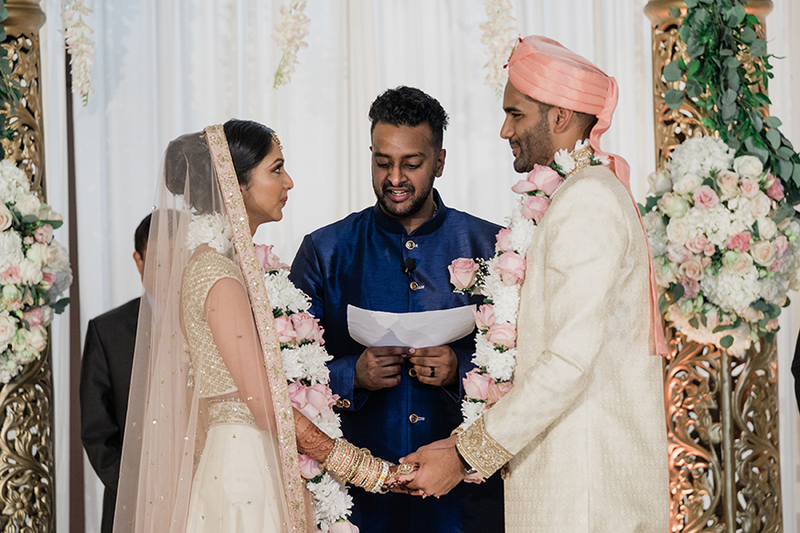 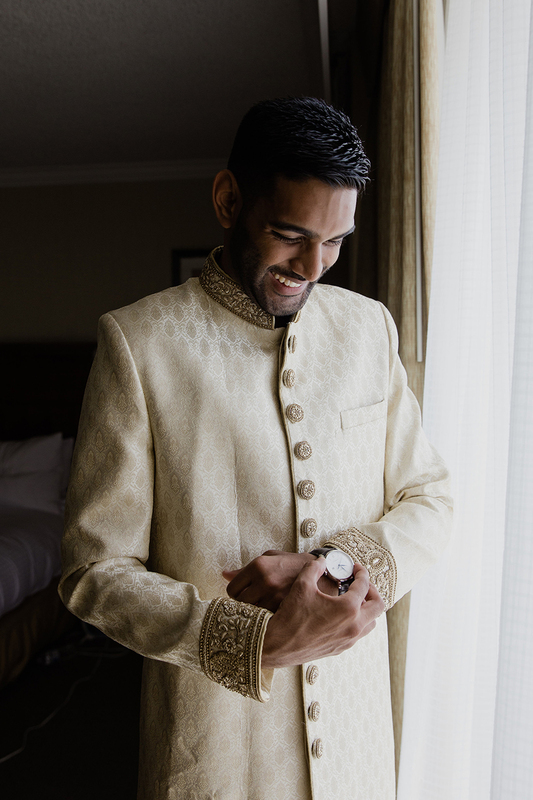 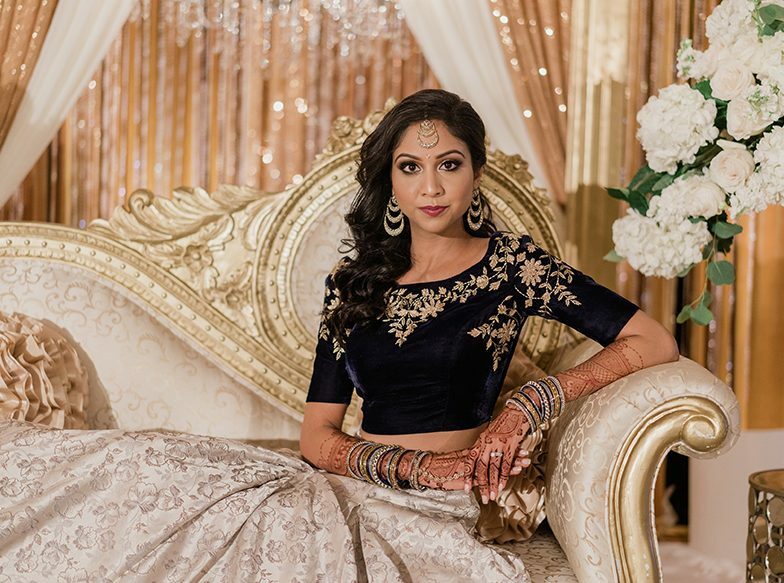 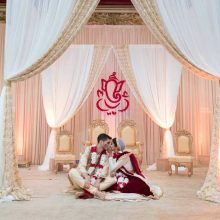 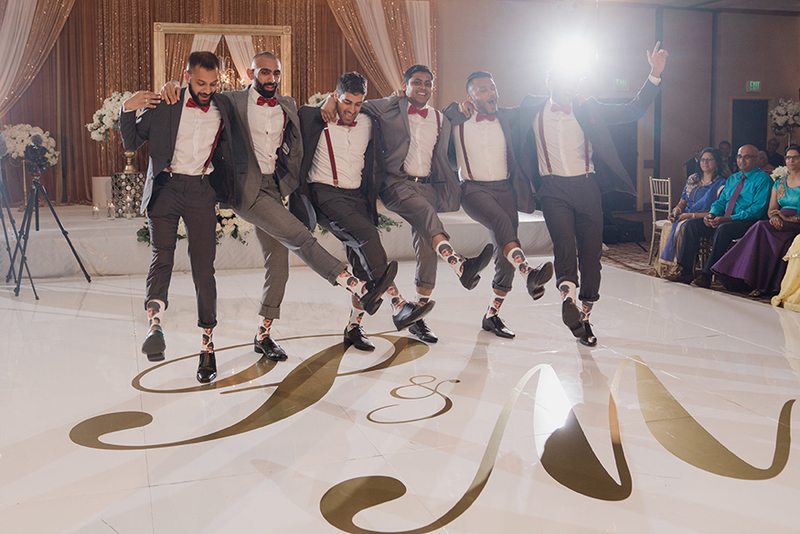 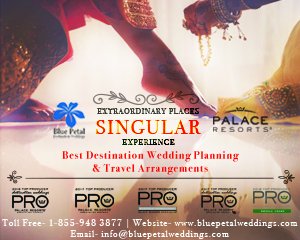 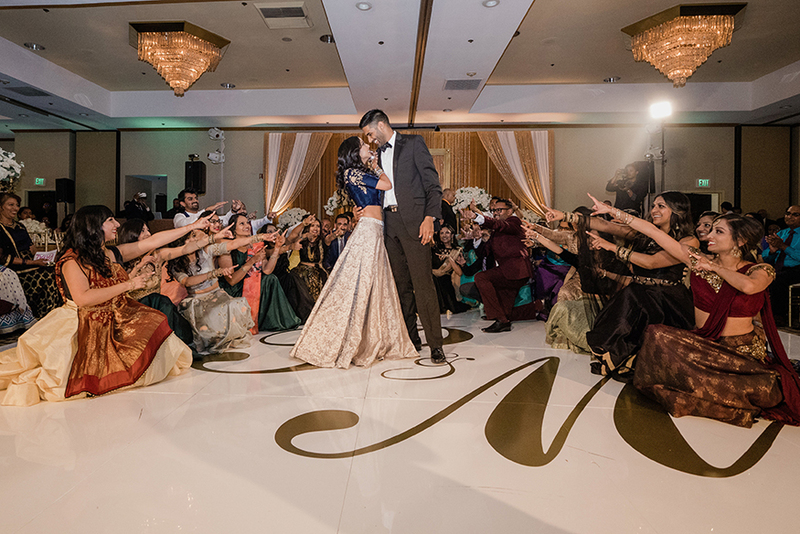 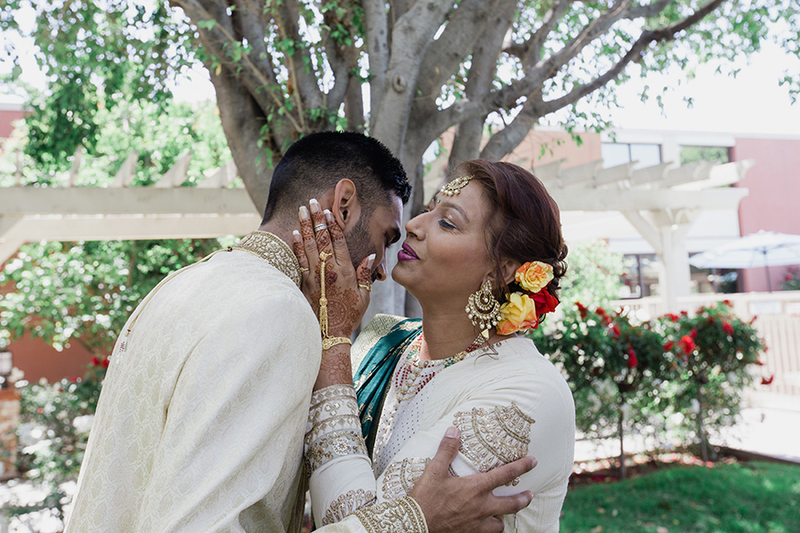 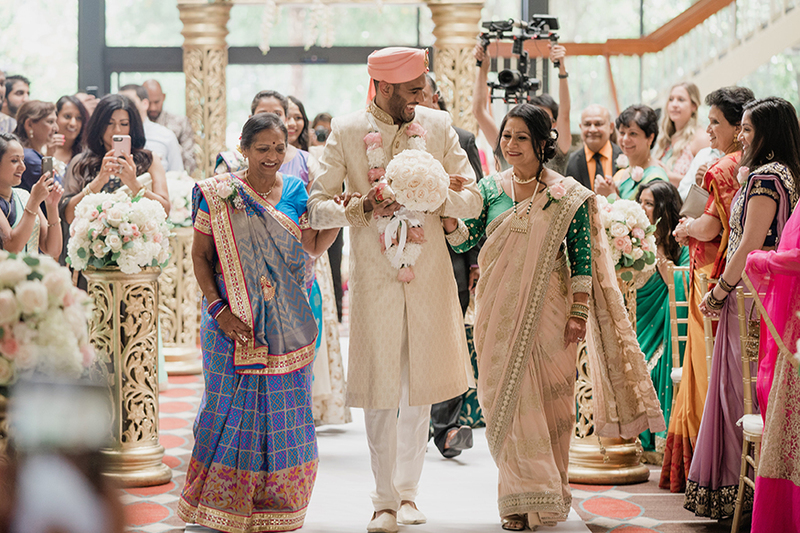 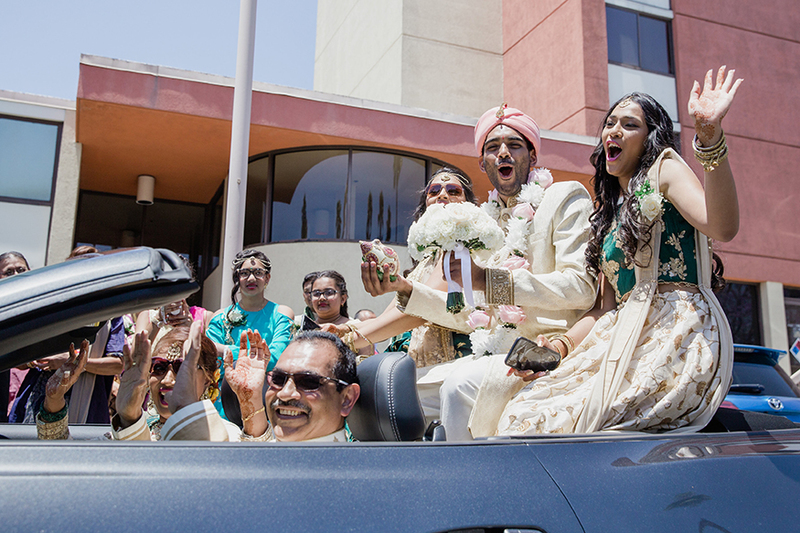 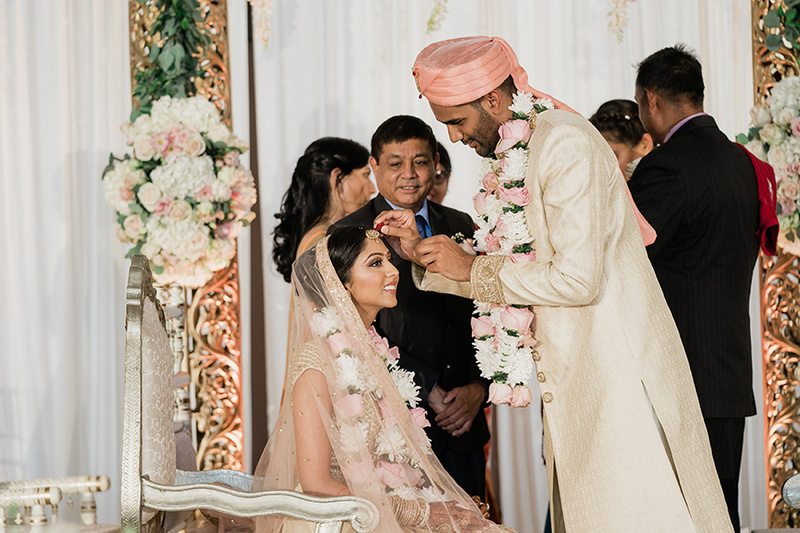 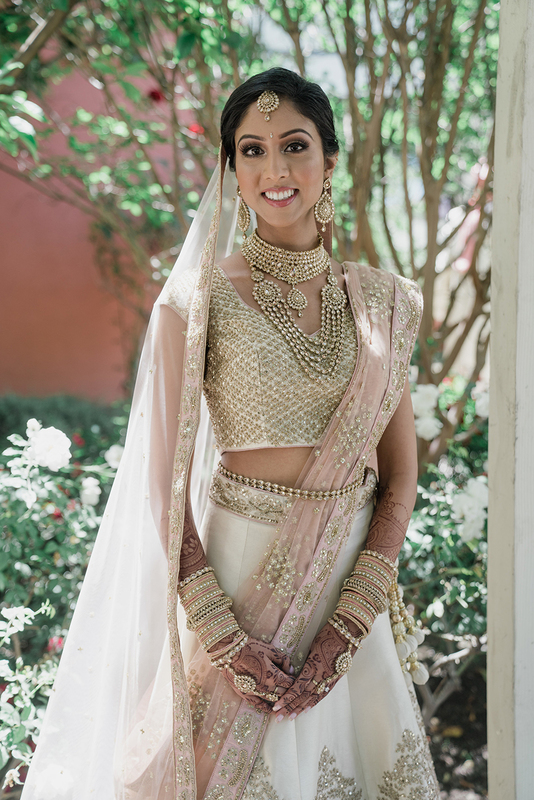 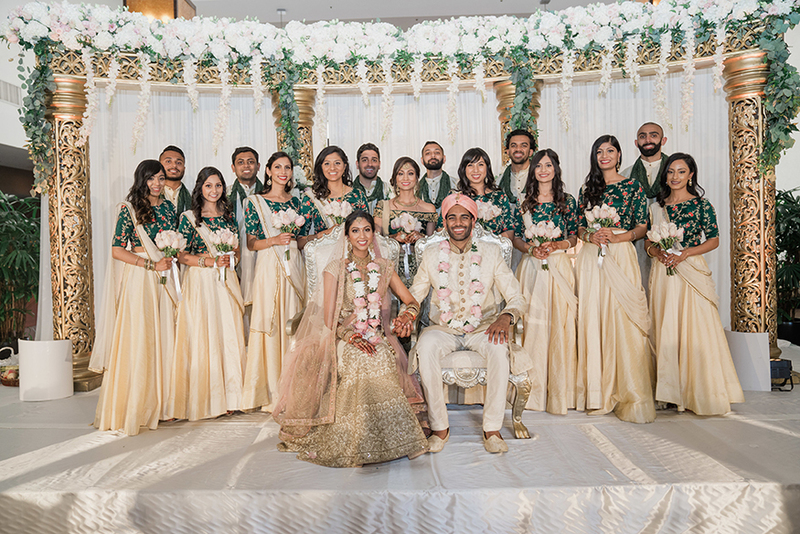 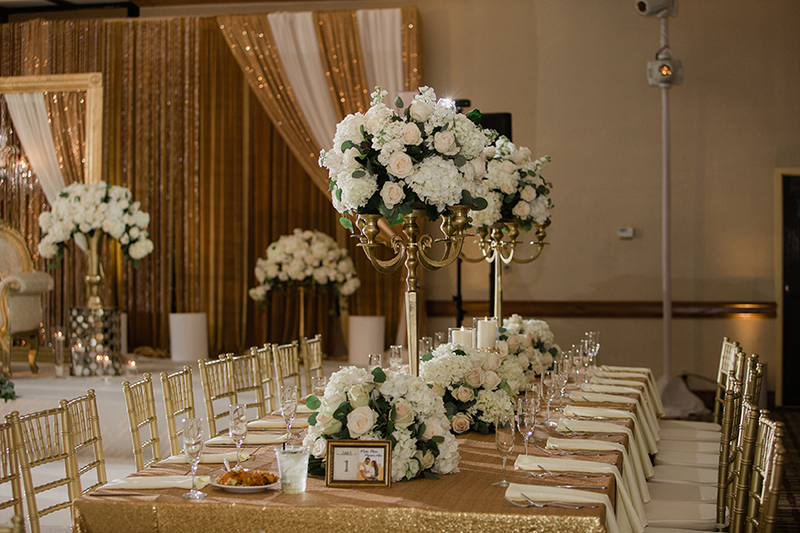 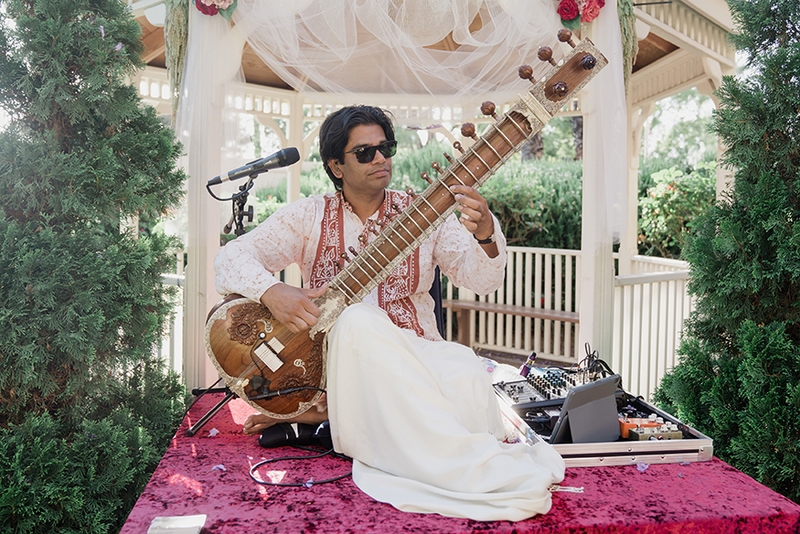 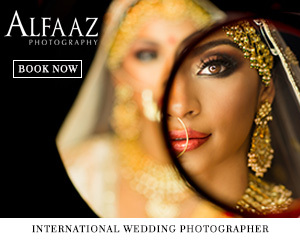 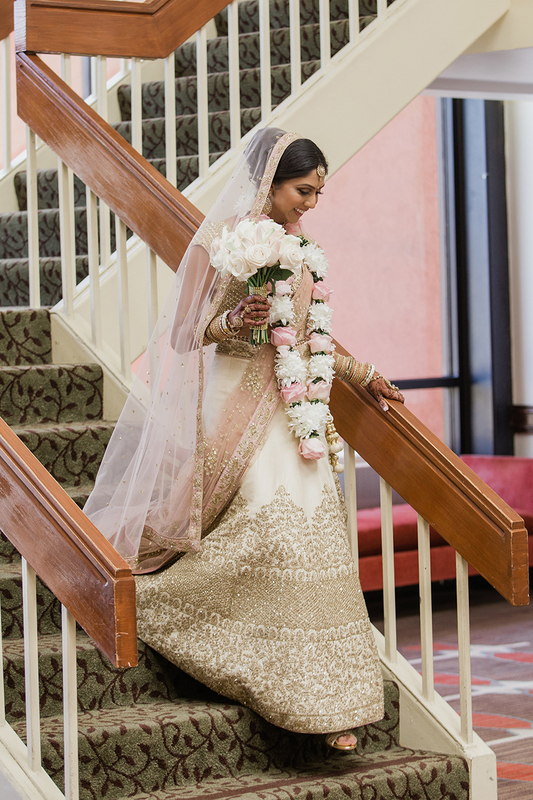 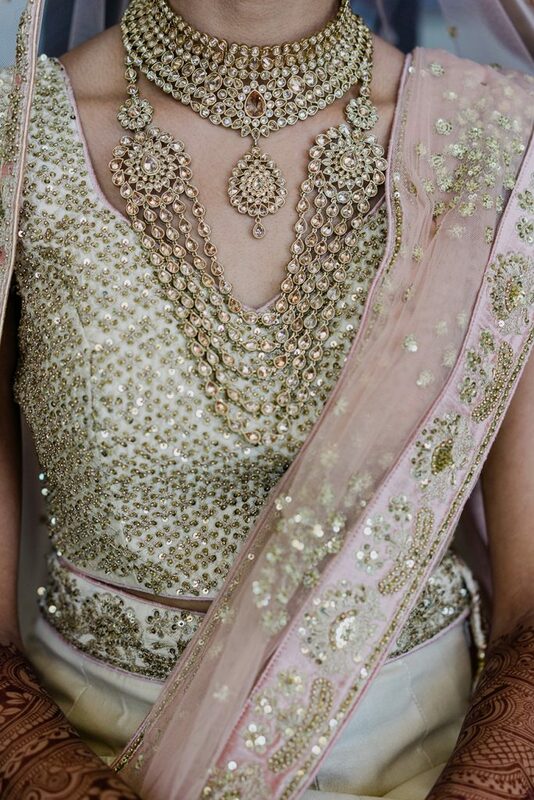 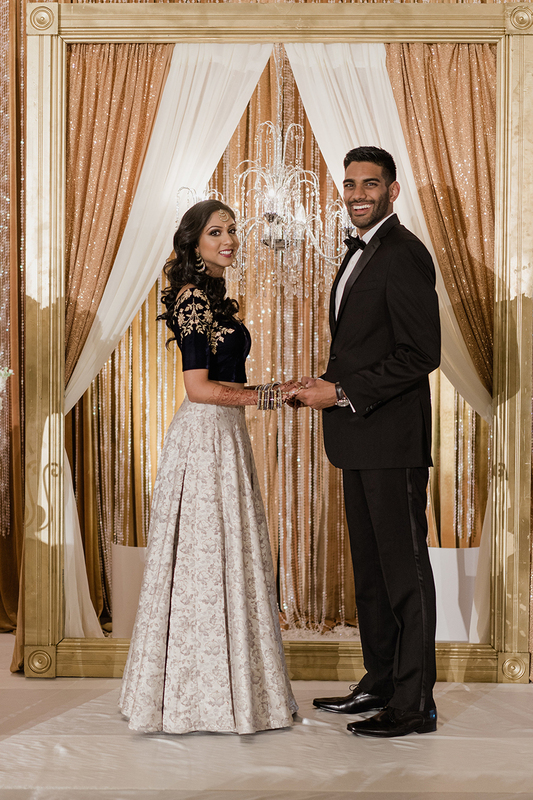 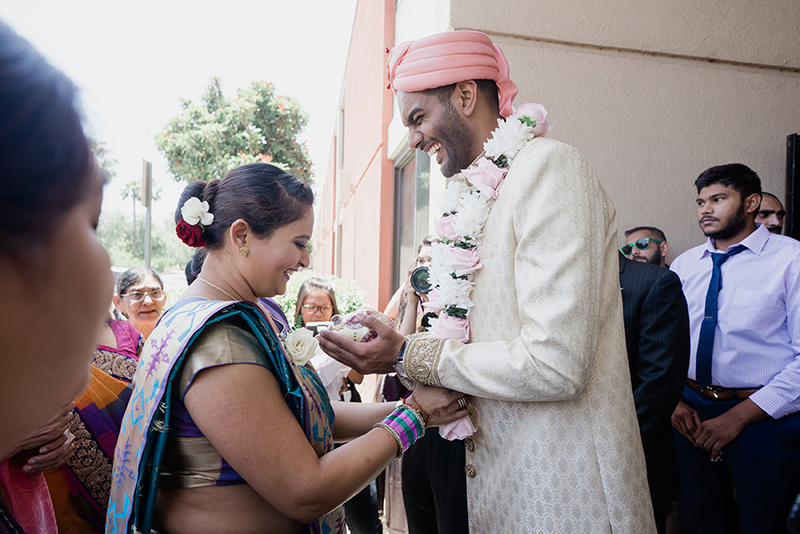 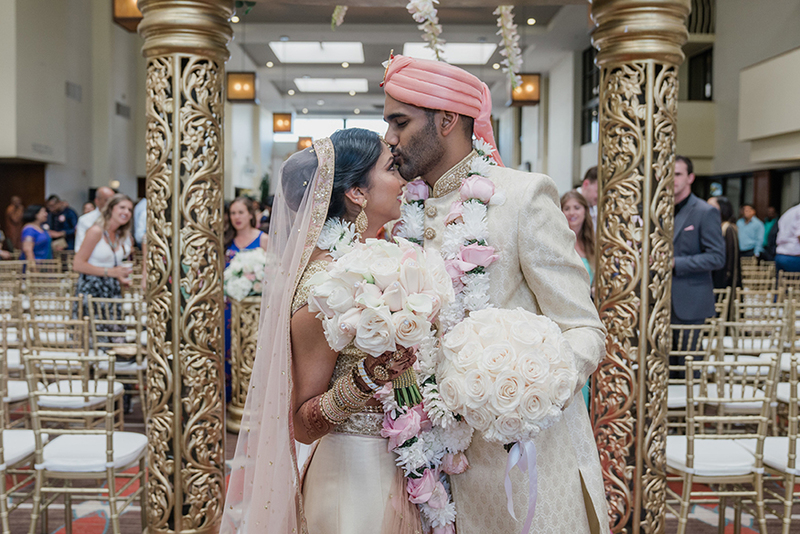 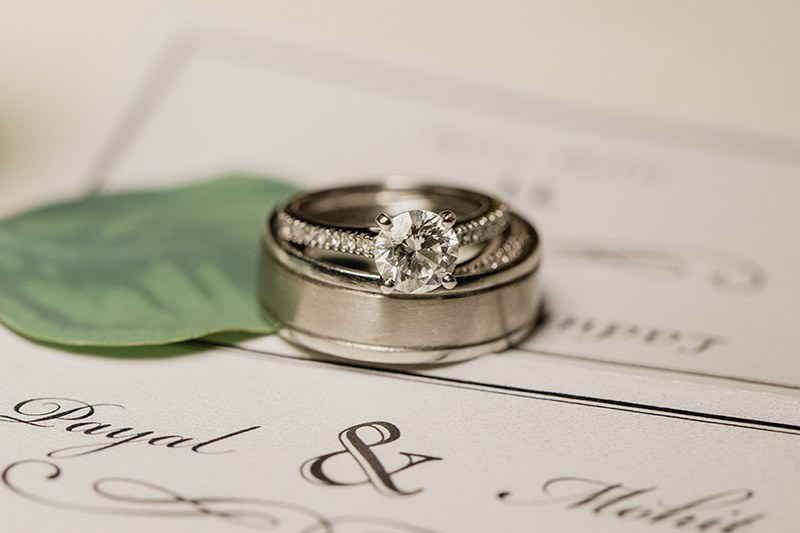 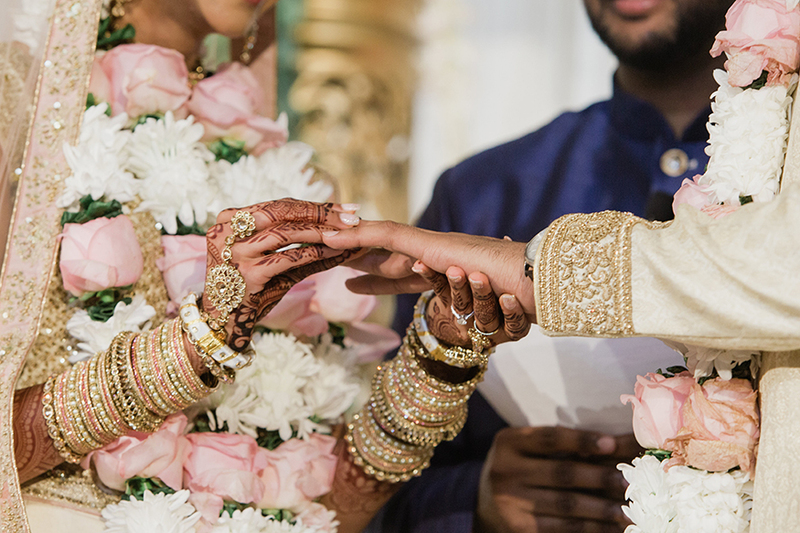 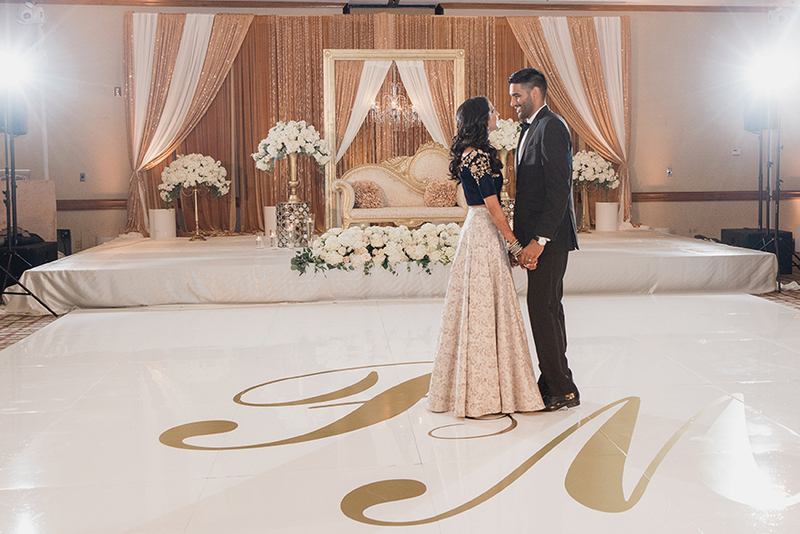 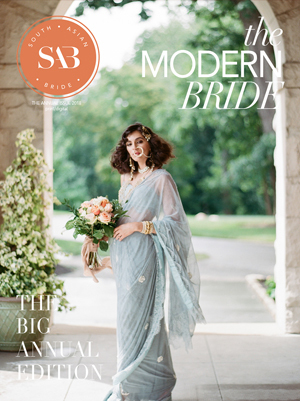 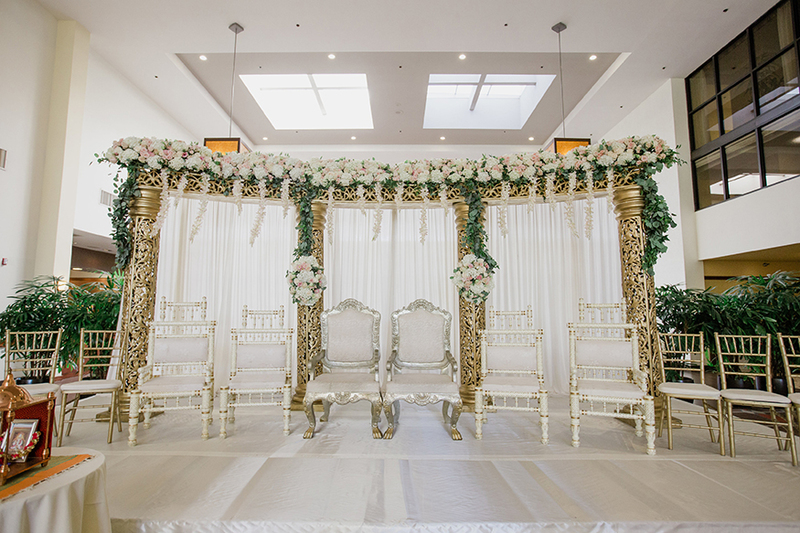 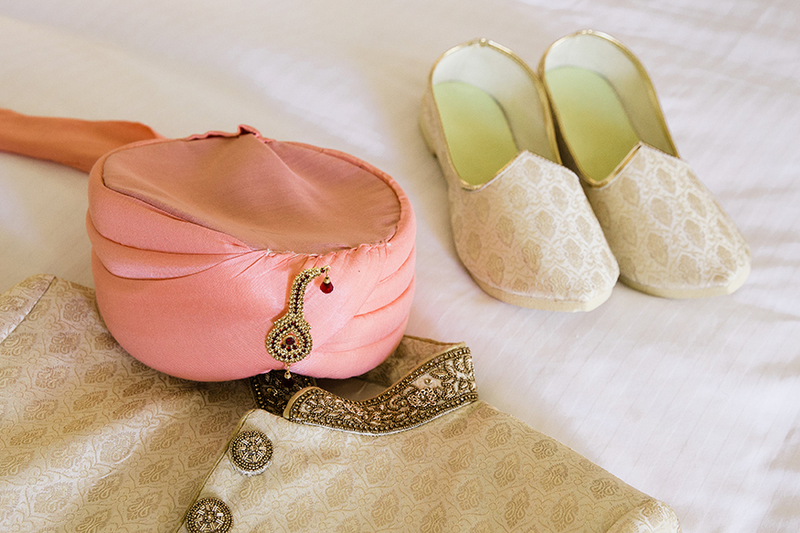 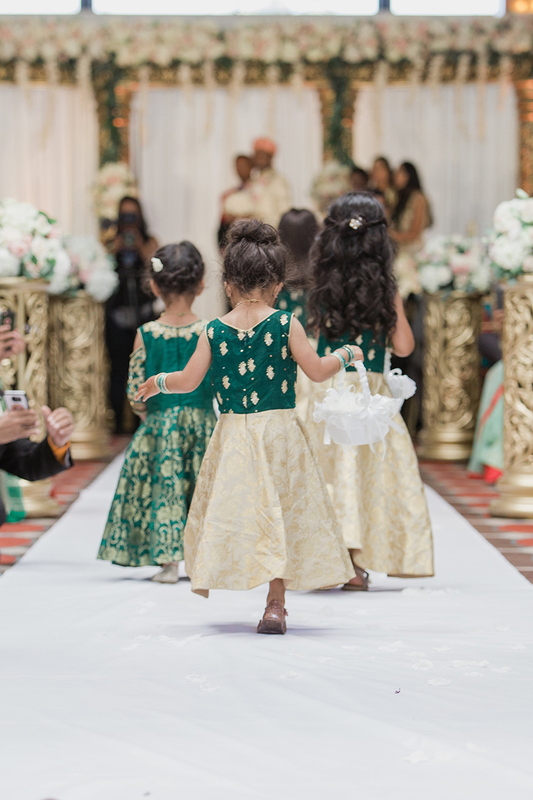 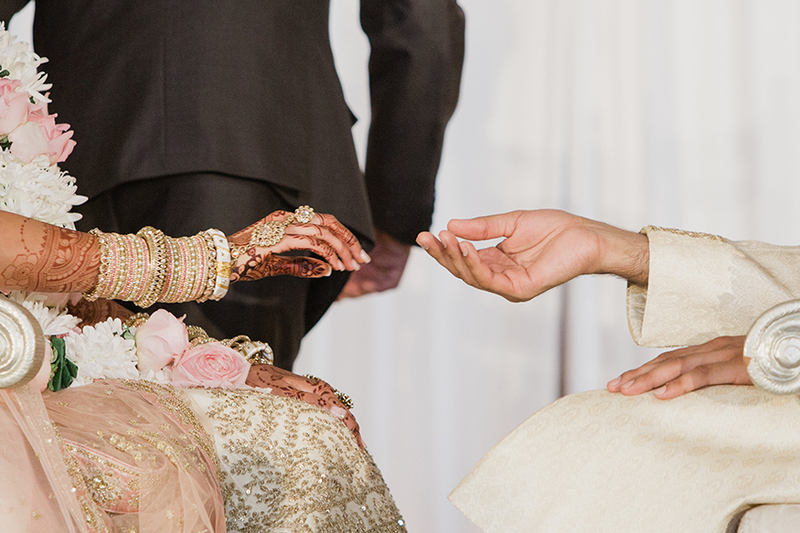 Their June wedding was full of cinematic surprises, with Mohit’s “baraat” dance for everyone with his groomsmen and Payal’s family’s skit and dance during their reception. 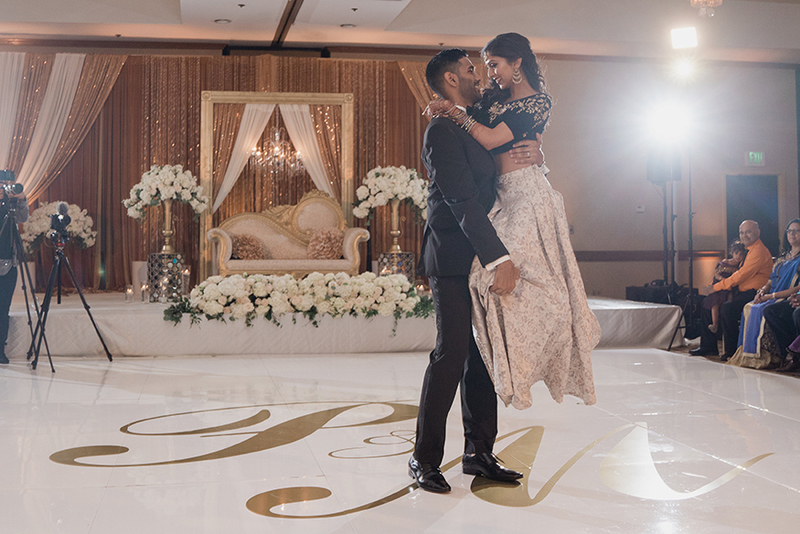 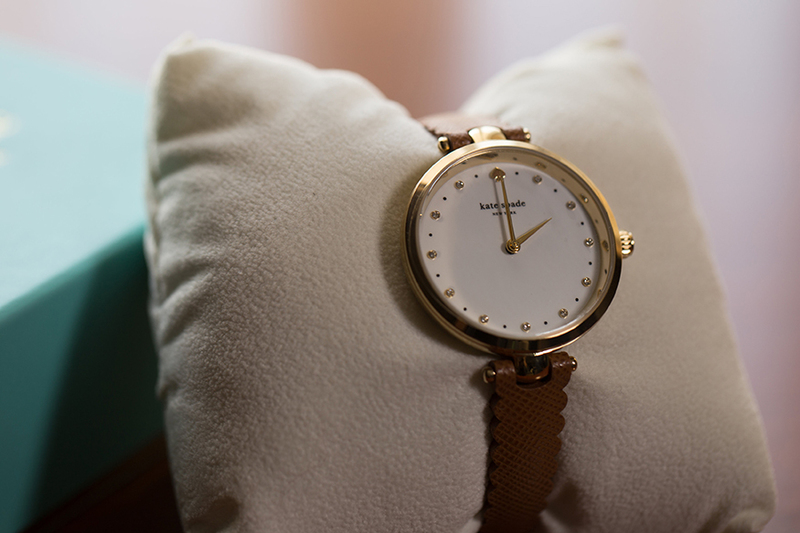 “We just really wanted something intimate, romantic and classic,” Payal says. 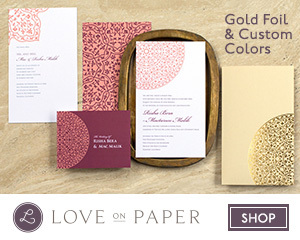 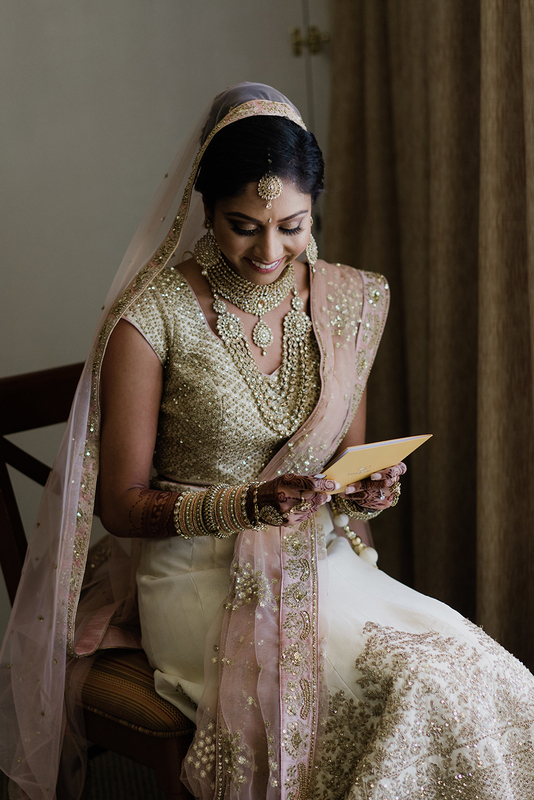 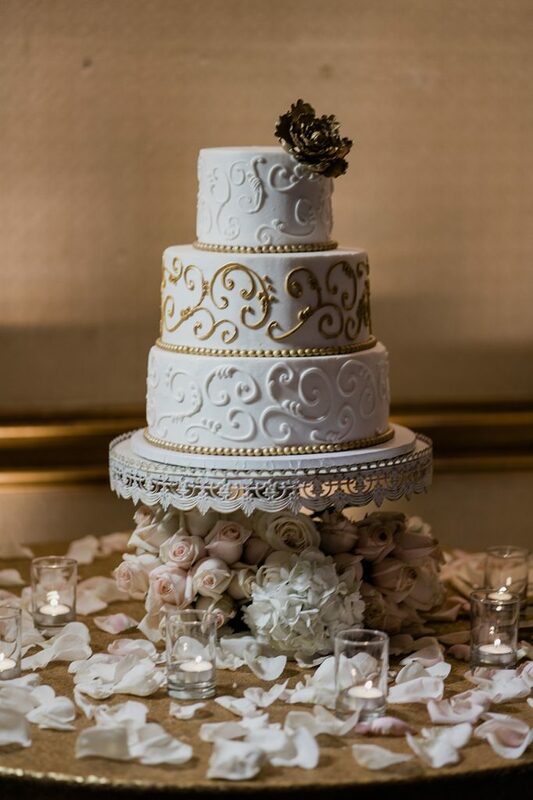 “We loved the color combination (blush pink, ivory, green and gold) and how the décor was simple yet elegant.” She and Mohit made their card box together, marking it with their “Mopie” hashtag. 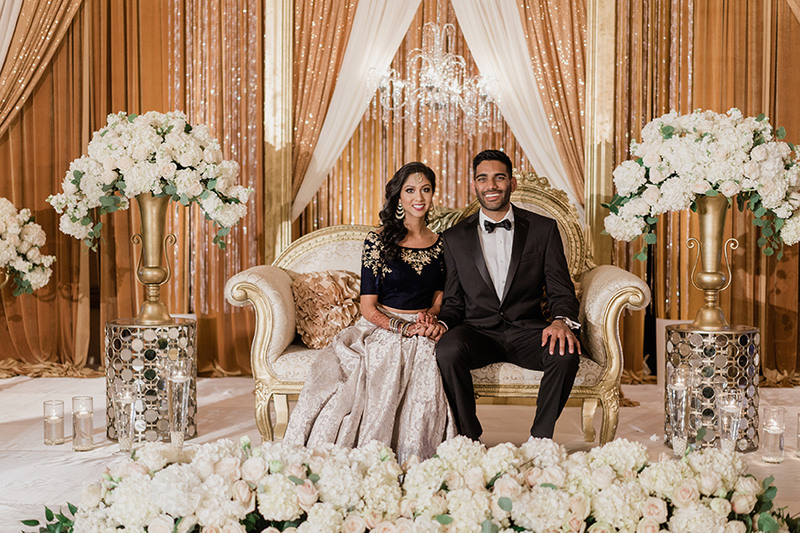 Her friend also helped create table numbers with Bollywood movie posters. 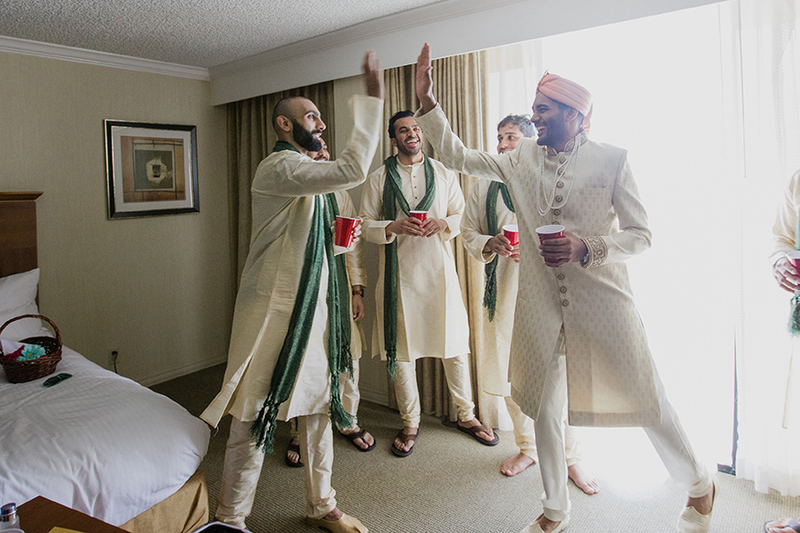 Their ice-cream-pop bar was a big success as well.